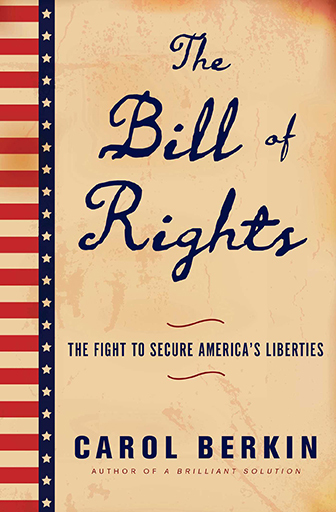 THE BILL OF RIGHTS: THE FIGHT TO SECURE AMERICA'S LIBERTIES is an important volume that addresses what the founding fathers had in mind concerning The Bill of Rights and will help answer some of the debates we're still having today. 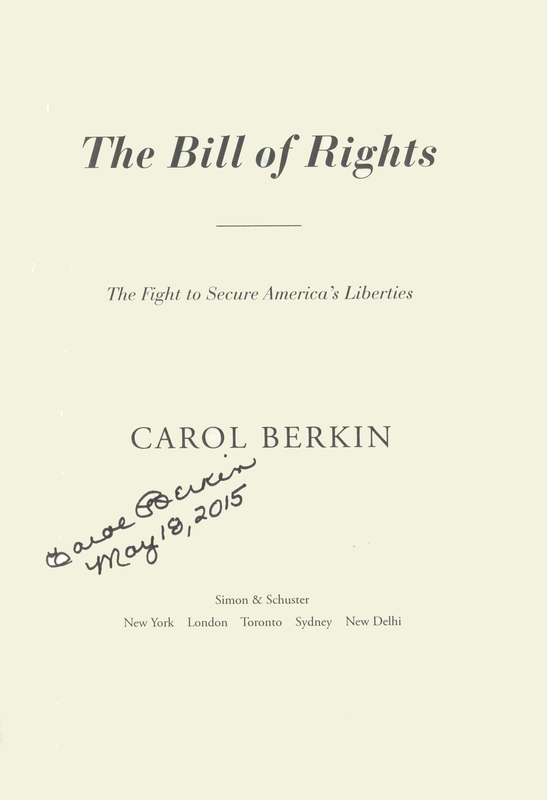 THIS COPY (shown below) was signed and dated (May 18, 2015) by Carol Berkin on the title page at her office. us. It is a new, unread first edition opened only for signing. Published in May, 2015 by Simon & Schuster. 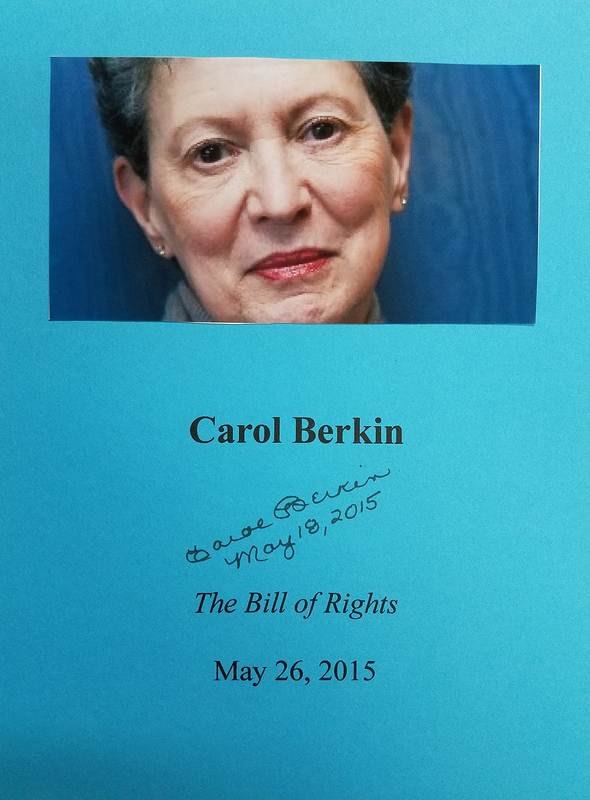 CAROL BERKIN (pictured below from our Wall of Fame) is the Presidential Professor of History at Baruch College and has written three books. She has appeared in several documentaries on PBS and The History Channel. Thank you Carol Berkin for signing our books.